1. A colorful way to learn geography. The kids’ table just got way more sophisticated. 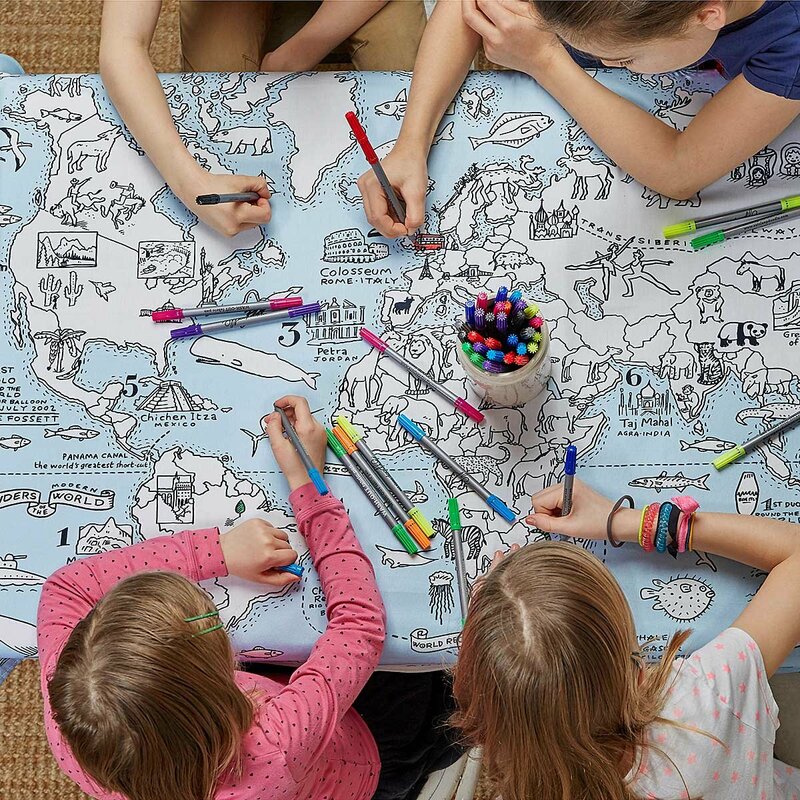 School-age children will love coloring in an illustrated version of the entire globe—then setting their customized tablecloth with holiday cookies and milk. 2. 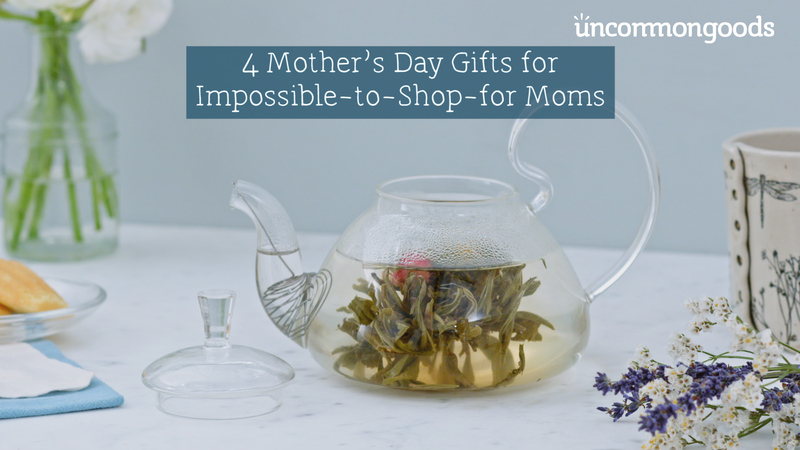 A snack-serving set for your adventurous kiddo. 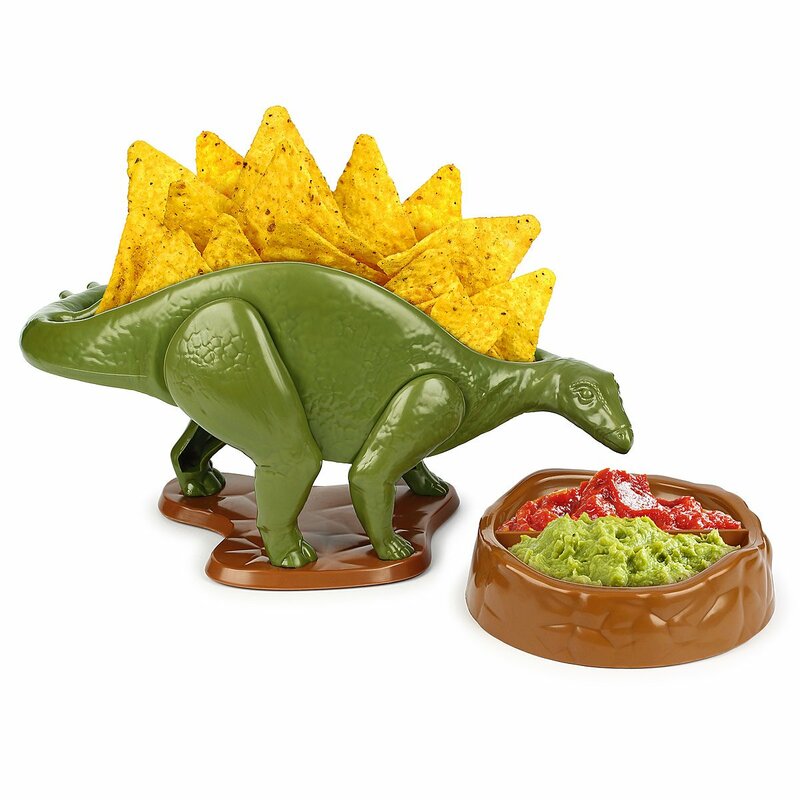 When it comes to this plastic stegosaurus that can carry a hefty load of chips to its volcanic dip bowl, the only thing in danger of extinction is the snack food itself. 3. 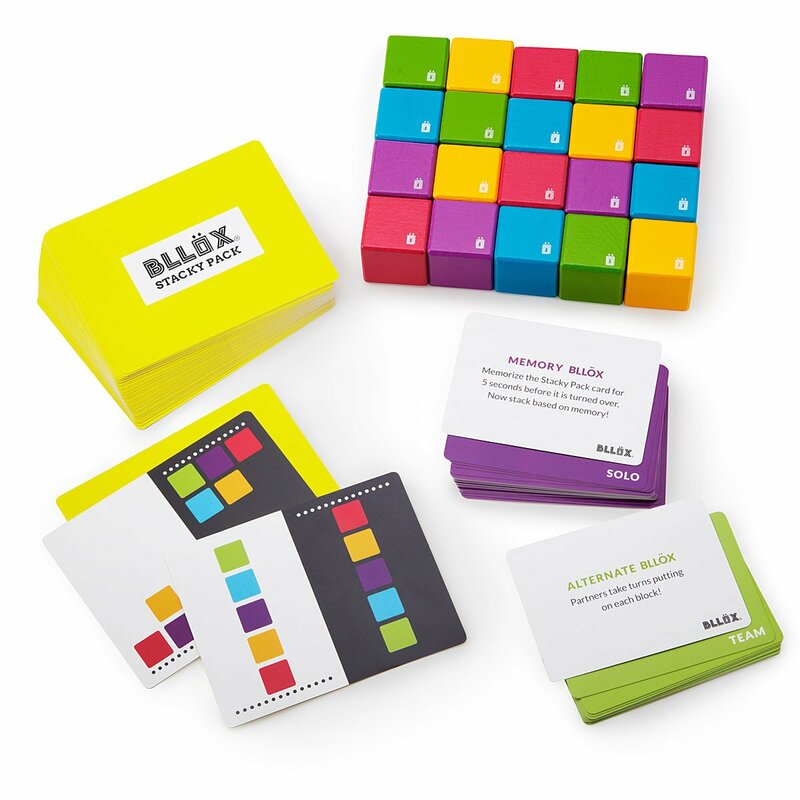 A set of blocks that turns into a game. Amuse the six-and-over set at your holiday party with a stackable game of skill and speed—and get ready to compete yourself! 4. Unique chalk that makes the tool as fun as the drawing. Chalk it up to creativity! 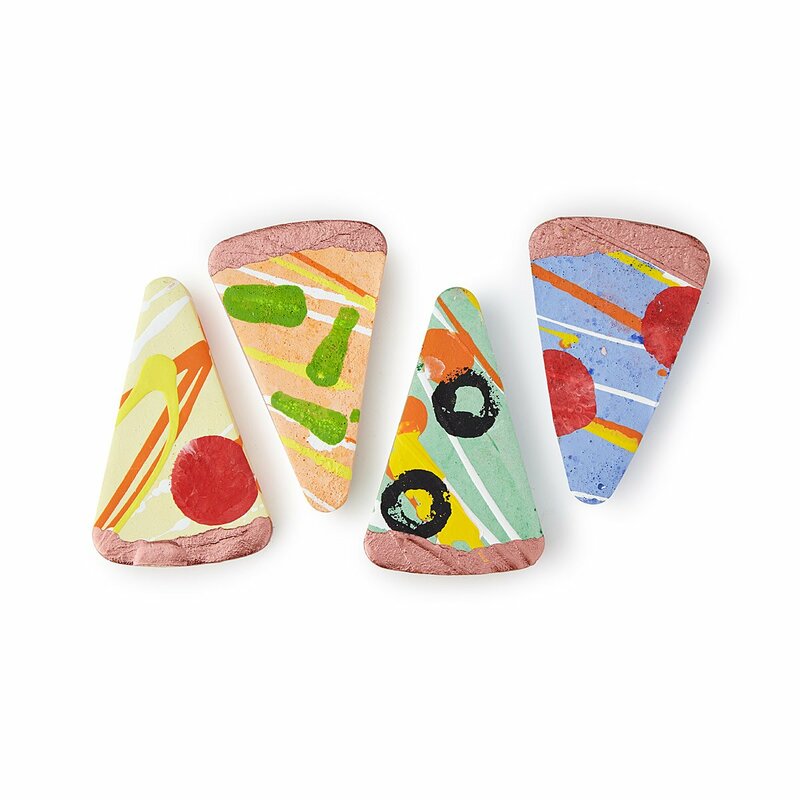 Whether their interests lie in pizza, pastries, or pretend beasts, young and old alike will want to find fresh gravel to doodle on, stat, after unwrapping one of these special chalk sets. 5. 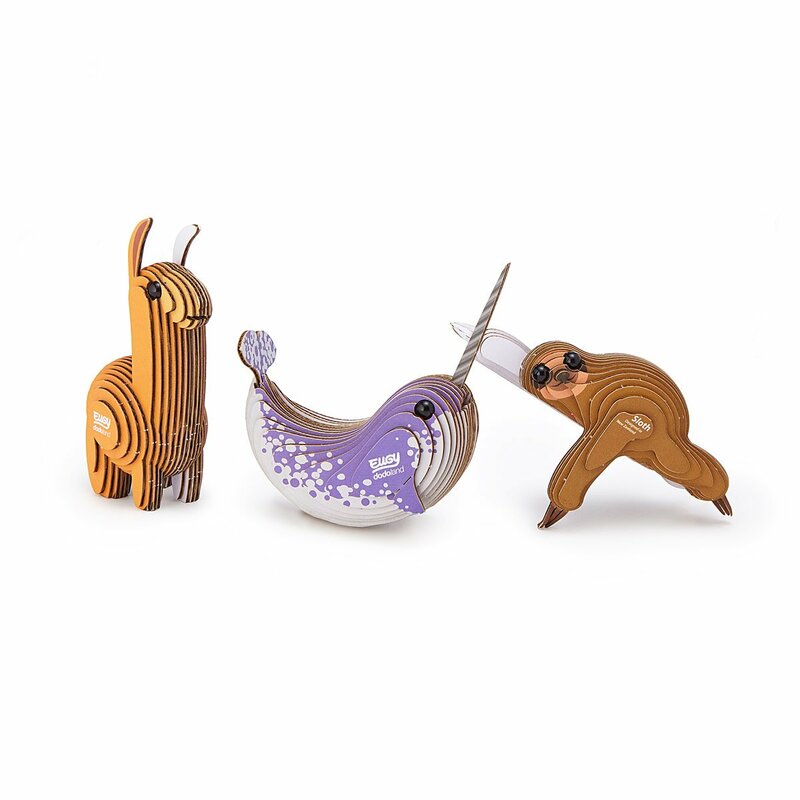 Cardboard creatures for tiny animal lovers to go gaga over. Zookeepers in training will love piecing together exotic animals—from sloths to llamas to whales—from cardboard cutouts. 6. 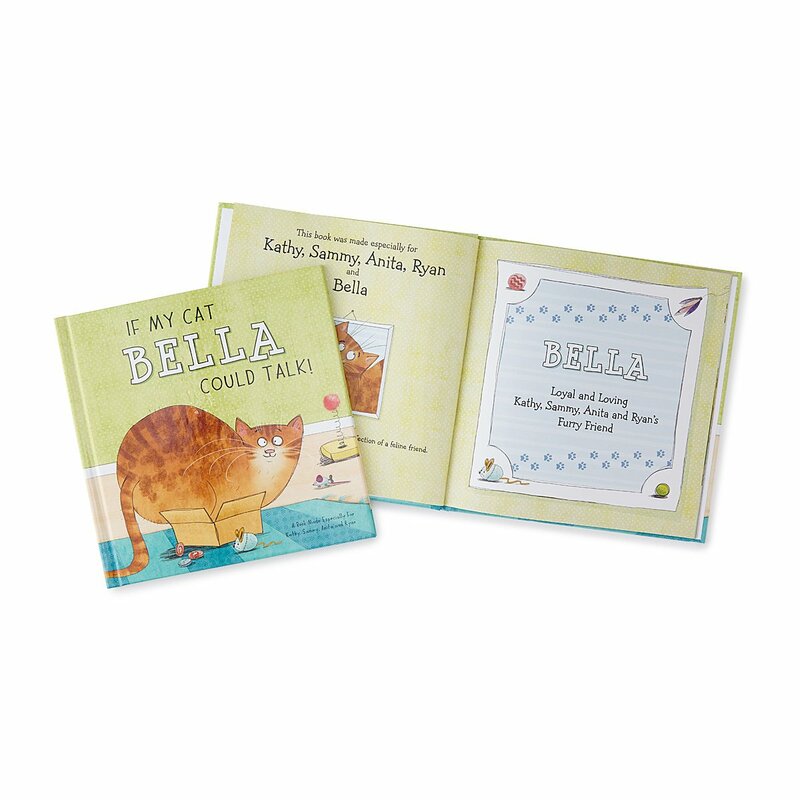 An adorable, personalized cat storybook. What would Mittens or Missy say if they could speak? Probably, “Hurry up and get the little cat lover in your life this book!” Printed with their very own kitty’s name, it’s sure to, well, whisker them away. 7. 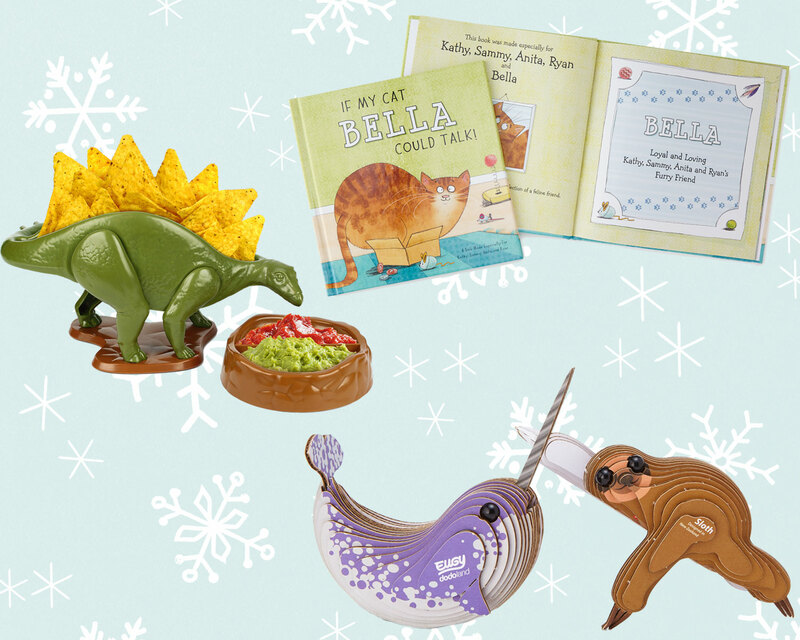 A build-your-own dinosaur kit with prehistoric appeal. 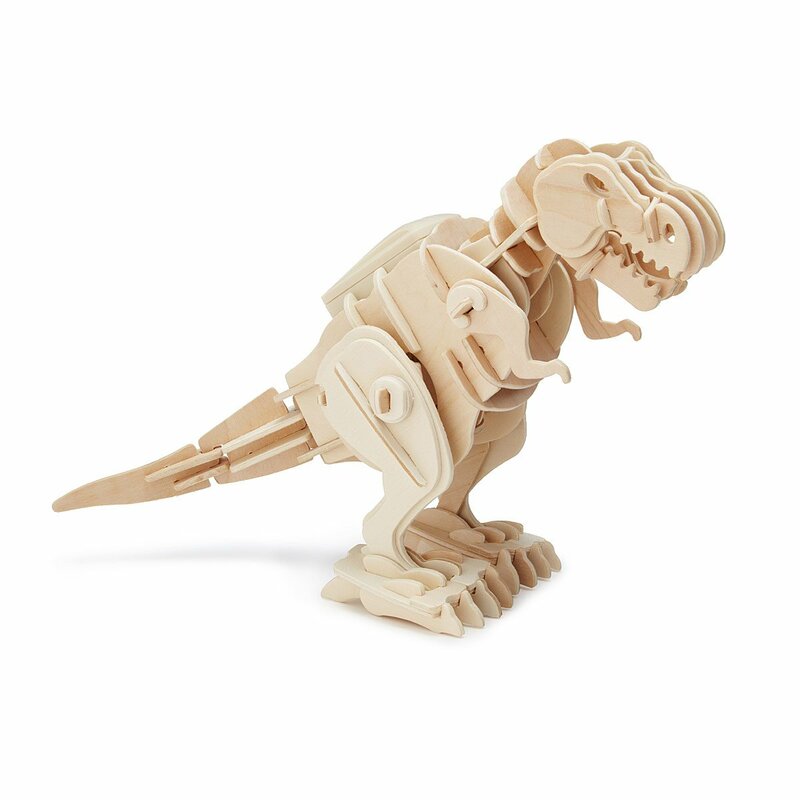 This wooden T-Rex sure makes tinkering tempting. Once snapped together, the dino walks and roars at the clap of a child’s hands. 8. 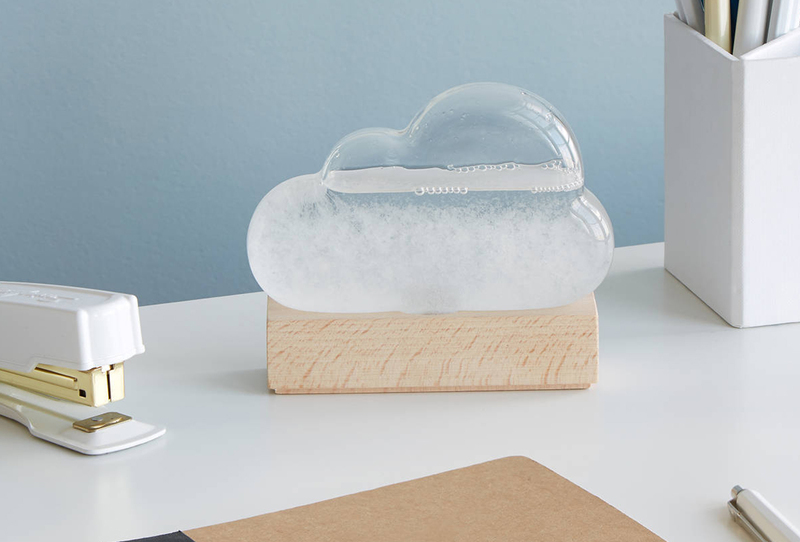 An interactive toy that speaks to the joys of being a wallflower. 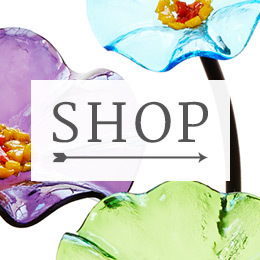 The holidays are looking up! The wooden, wall-mounted, tree-top roller-coaster opens up a whole new playing field in a (literally) crowded room. 9. 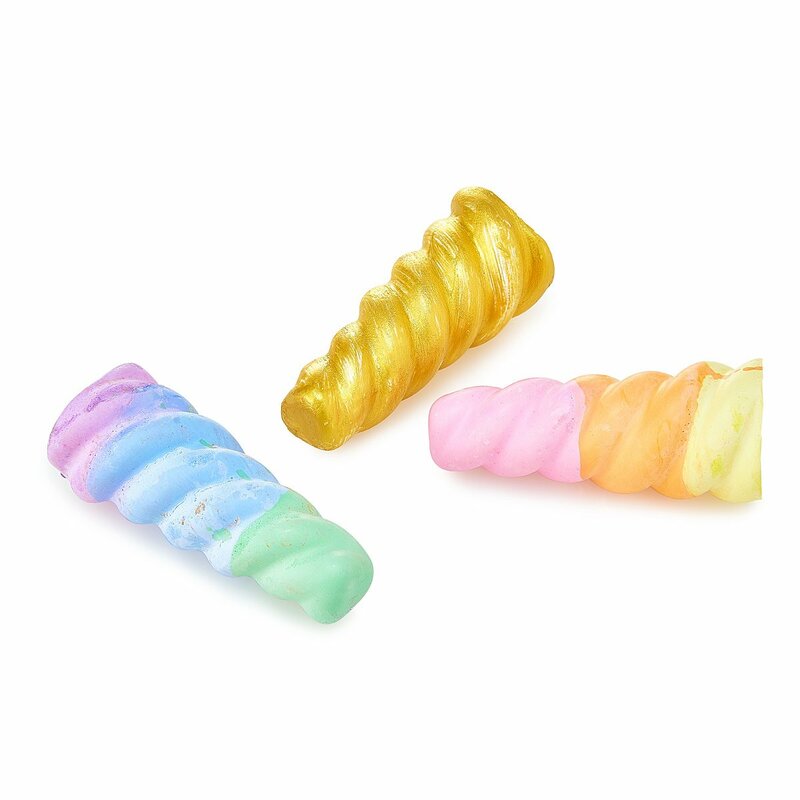 Putty that’s merry and bright. 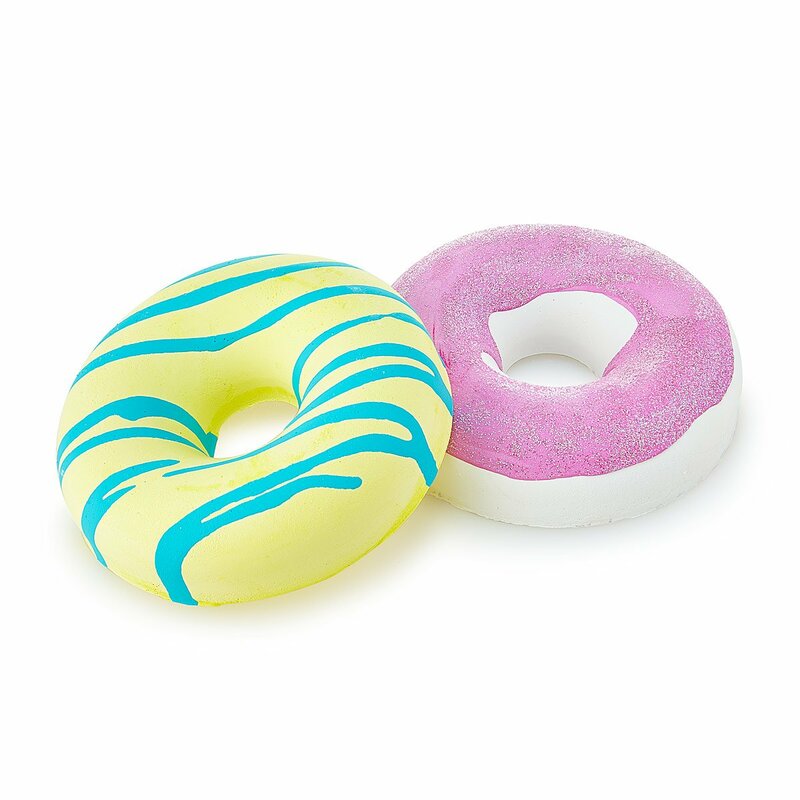 For the little—or big!—one who likes to design their own eye-catching sculptures or just keep their hands moving, you can’t go wrong with neon putty in its own tin. 10. A magical idea for a wee crafter. Wrap it up! 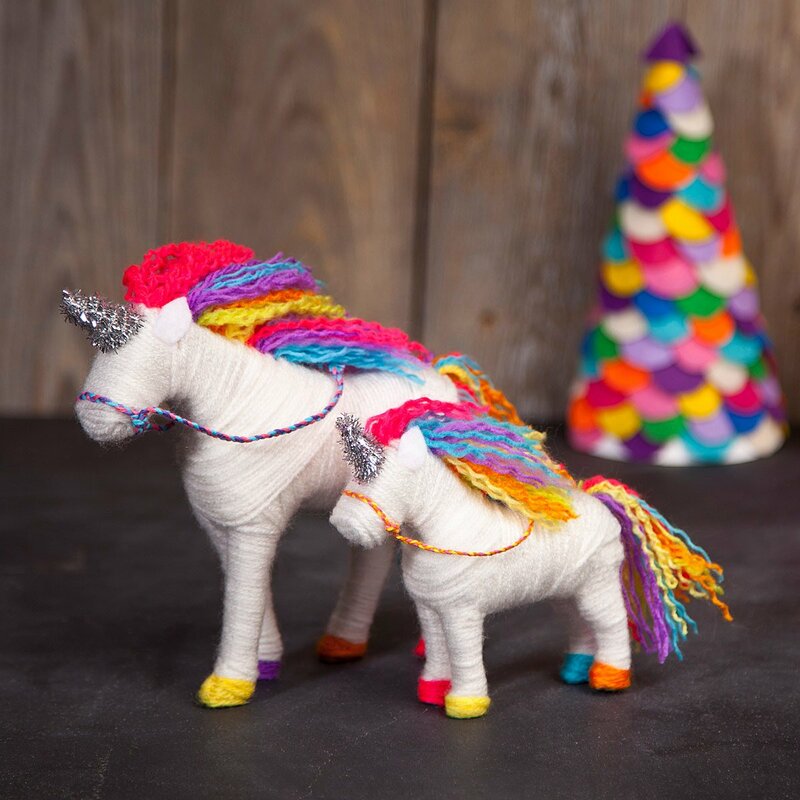 The cardboard forms of two unicorns plus yarn turn into more than the sum of their parts when kids combine the two to create their very own mythical beast figurines. 11. 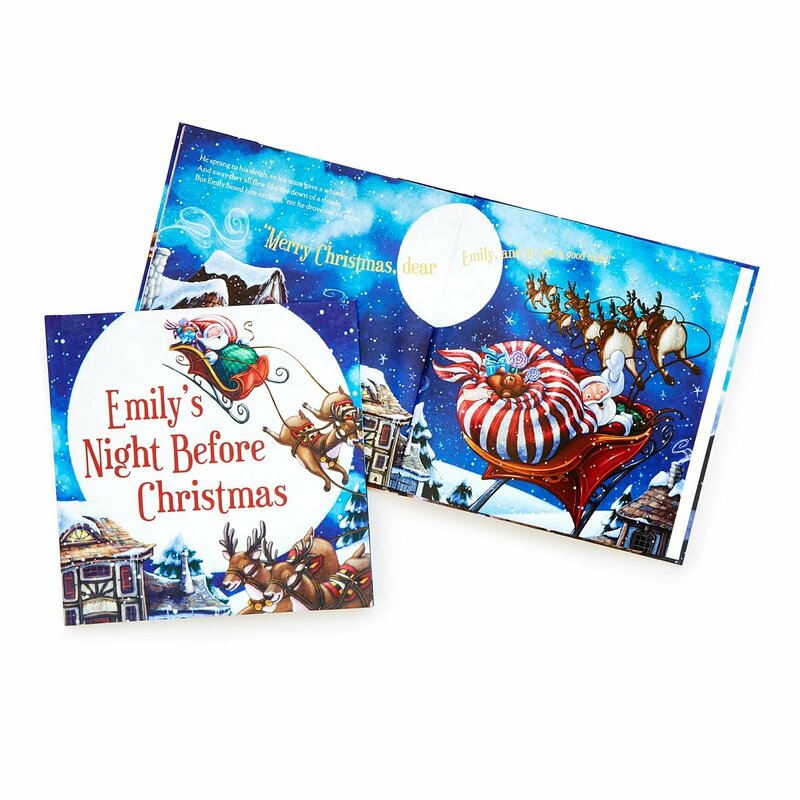 A personalized book to slip into a stocking with care. ’Twas the night before Christmas when all through the house, not a creature was stirring, especially not the kid whose name was read aloud in the story. 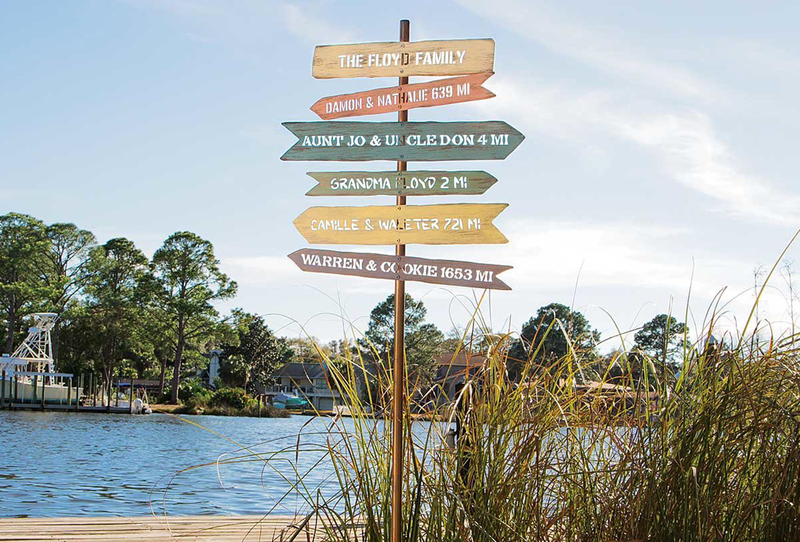 Captivate a child with the magic of the classic tale, personalized just for them. 12. Like Scrabble for the left-brained. 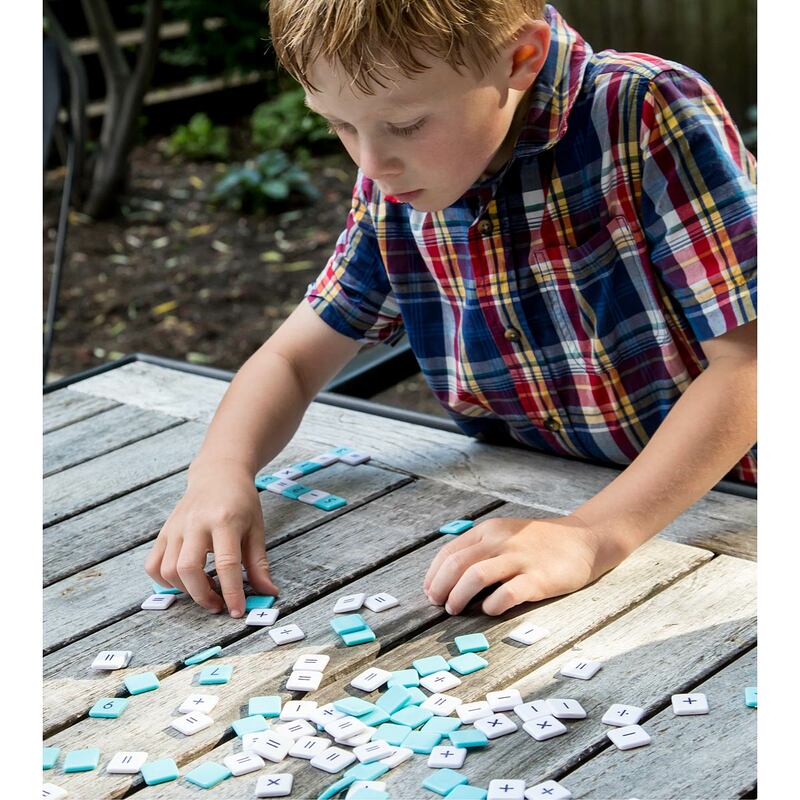 It all adds up: With these number tiles, math turns into family fun time. Build simple equations off of others; the first to use up all their squares wins!